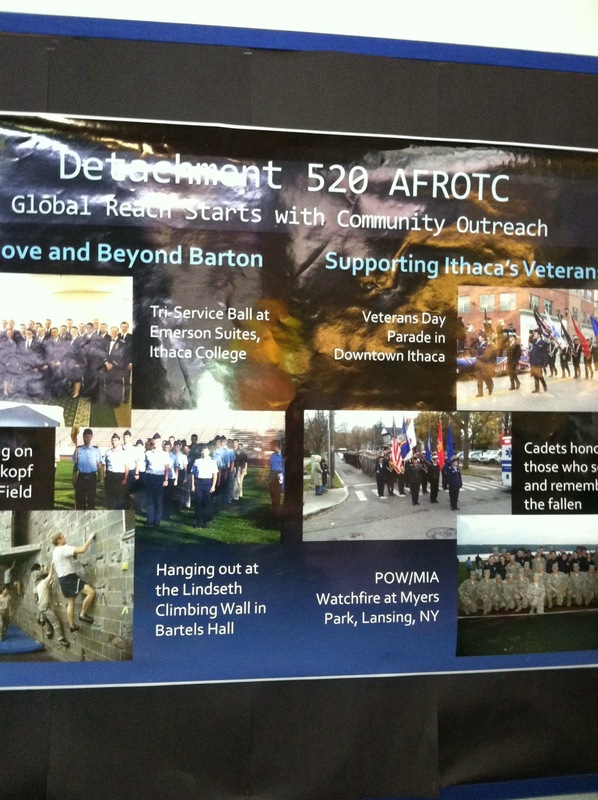 Titled "Global Reach Starts with Community Outreach," the poster shows members of the Cornell ROTC contingent going out into the community in their uniforms. This makes U.S. military interventions abroad, like supporting dictators who provide the U.S. government with military bases and American corporations with investment opportunities, seem like normal activities for nice young men and women. This community outreach encourages Americans to support these interventions rather than question them. AEMP director Caleb Rossiter saw that poster while training in Barton Hall for a track meet. He wrote an article for the Cornell Daily Sun about the truth of the poster's claim that "Global Reach Starts with Community Outreach." Here is the link to the article. I wonder if the Air Force ROTC chapter had a hand in the recent decision by the Cornell hockey team to appear in camouflage uniforms...read Caleb's article about that piece of propaganda here.